County and the Inland Northwest region. generations and be a part of the history on the Palouse. Referral- The Chamber steers consumers, tourists and new residents to member businesses. By phone, email and walk-ins we provide over 1200 referrals annually. Networking- Make important business contracts and expand your customer base through the many Chamber functions, committee and programs. Business Advocacy- The Chamber focuses on issues related to the business community and places special emphasis on the needs of our membership. Education and Training- The Chamber works with business educators, local talent and outside sources to provide the very latest in education and training opportunities for business. Marketing- Whether advertising in our print publications and electronic media or sponsoring Chamber events, as a member you can cost effectively find many ways to use the Chamber to promote your organization. Tourism- The Chamber serves as the "front door to Moscow," directing visitors straight to your business. As a member, you are part of the "reception" moving visitors from our door to yours. Political Advocacy- The Chamber monitors the political activity at the local, state and national level to keep you informed of important issues. Community Affairs- As a member you have access to 10+ committees and subcommittees working in education, government affairs and community development. Listing in the Chamber Business Directory- Our referral source with over 5000 distributed annually. Website Listing and Link on www.moscowchamber.com- Our online directory listed alphabetically and by category with over 140,000 visits every month. Weekly E-Mail Updates- Keeping you current on business relevant news, Chamber events and civic events. Invitation for ALL Employees to Chamber Networking Events- Attend General Membership Luncheons, Business After Hours, Grand Openings and many other special events. Brochure Display- Display racks are located in the Chamber office and available for you to stock with your own brochures or pamphlets. Local Job Resource Program- One call does it all! Need to hire? 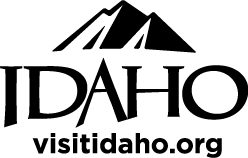 Call the Chamber, we will place the job advertisement on our website and the option to place on the Idaho Department of Labor and University of Idaho job advertisement sites. Referrals! Referrals! Referrals!- We refer nearly 1000 visitors, locals and businesses to our members for goods and services every month. Chamber Newsletter Feature- We will announce in our Newsletter that a new business has joined the Chamber. Moscow Chamber Minute Radio Spots- In partnership with Inland Northwest Broadcasting, all Chamber member businesses have access to 30- second radio spots. Just send us 90 words about your business and we'll get the word out. Dates subject to availability. Free! Charity Starts at Home Radio Spots- Take advantage of this opportunity to highlight your philanthropic business. The Moscow Chamber appreciates our generous business community, please allow us to share your story! The Chamber needs 130 words describing a member or agency and their generosity to the community. Contact the Chamber to find out when the next radio spot is available. Free! Business After Hours- The Chamber invites your business to host a Business After Hours! We will assist in planning and promote the event for you. This is a unique opportunity to bring community members into your business and to make valuable networking contacts. All After Hours events are promoted by the Chamber through a membership email, press release and newsletter feature. Contact the Chamber for more information. Free! Moscow-Pullman City Map- Our map is a collaborative effort between the Moscow and Pullman Chambers, and is distributed to over 20,000 of your potential customers. It is a highly effective advertising tool that comes with a 12-month shelf life. Contact the Chamber for more information.